John Martino: electronics expert, mob associate, anti-Castro activist, author of I Was Castro's Prisoner, promoter of stories about Lee Harvey Oswald, and confessor to involvement in the JFK assassination. Flo, they're going to kill him. They're going to kill him when he gets to Texas. The wife of John Martino, after denying to the HSCA that her husband had foreknowledge of JFK's assassination, told author Anthony Summers about her husband's statement the morning of the murder and the series of phone calls he received that afternoon. John Martino, whose statements are the starting point for Larry Hancock's book Someone Would Have Talked, was deeply enmeshed in anti-Castro activities in the early 1960s. An electronics expert, particularly specializing in the gambling machines employed in Havana casinos run by organized crime. Martino was arrested in Havana in July 1959 and spent three years in prison there. On his return to Florida, he became associated with Frank Sturgis, Eddie Bayo, and other anti-Castro activists. 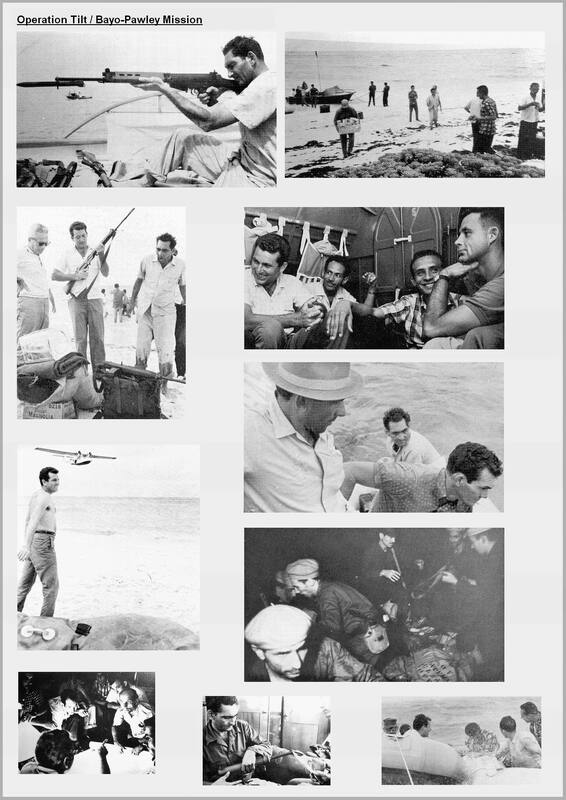 Martino also mentioned the not-well-known CIA officer Dave Morales in his book, I Was Castro's Prisoner. 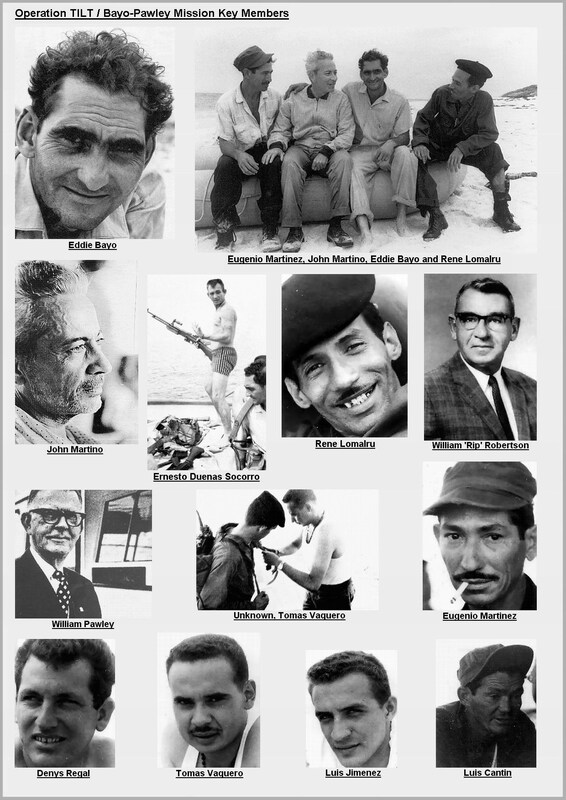 In the spring and summer of 1963, Martino was heavily involved in the Bayo-Pawley raid (aka Operation TILT), an operation intended to smuggle out of Cuba two Russian officers who, it was said, wanted to defect and alert the world to the presence of Soviet missiles remaining in Cuba after the Missile Crisis. A team was landed but never returned. Martino and an associated named Nathaniel Weyl were active in the aftermath of JFK's assassination, spreading a variety stories intended to tie Lee Harvey Oswald to Fidel Castro. The anti-Castro people put Oswald together. Oswald didn't know who he was working for--he was just ignorant of who was really putting him together. Oswald was to meet his contact at the Texas Theatre. They were to meet Oswald in the theatre, and get him out of the country, then eliminate him. Oswald made a mistake...There was no way we could get to him. They had Ruby kill him. Primary Sources: Theory - Soviet Union, Cuba, by Spartacus Educational. Cuba and the Kennedy Assassination, by John Martino. Did Silvia Odio Lie?, by Dave Reitzes. John Martino on Spartacus Educational. www.larry-hancock.com, the website for Someone Would Have Talked. Operation TILT photo pages on www.larryhancock.com: page 1 and page 2. Testimony of Silvia Odio in Volume XI. See pp.380-381. Commission Document 59, p.6. FBI O'Connor report of 3 Dec 1963, regarding 2 Dec interview with Martino. Commission Document 87, pp.1024-1026. Secret Service investigation of Martino. Commission Document 395, pp.21-22. FBI O'Connor report of 25 Jan 1964, regarding 29 Dec 1963 interview with Martino. Commission Document 561. FBI Lawrence report of 13 Feb 1964 regarding Martino. Commission Document 657. FBI letterhead memo of 26 Feb 1964 regarding 15 Feb interview with Martino. Commission Document 662. FBI letterhead memo regarding 2 Mar 1964 interview of informant T-1 regarding Nathaniel Weyl and John Martino. Commission Document 812. FBI O'Connor report of 4 Apr 1964 of interviews with Nathaniel Weyl and John Martino. Commission Document 961. FBI letterhead memo of 8 May 1964 regarding interviews with Martino. Commission Document 1169. FBI letterhead memo regarding 11 May 1964 interview with John Martino. Deposition of Howard P. Willens in Volume XI. See pp.438-441. 104-10312-10379. JMWAVE memo for record of 22 May 1963 re: Soviet Defectors (operation TILT). 104-10312-10289. MFR of 4 Jun 1963 re: operation TILT. 104-10312-10361. 5 Jun 1963 cable re: operation TILT. 104-10161-10026. 2 Feb 1964 debriefing of Prisbeck. 104-10052-10424. Chief JMWAVE to Chief SAS of 26 Feb 1964 re: operation TILT. 104-10312-10175. Chief SAS to Chief JMWAVE of 12 Mar 1964 re: Martino and operation TILT. 104-10312-10172. Magazine article: The Bayo-Pawley Affair. Larry Hancock, author of Someone Would Have Talked, discusses Martino's confession.